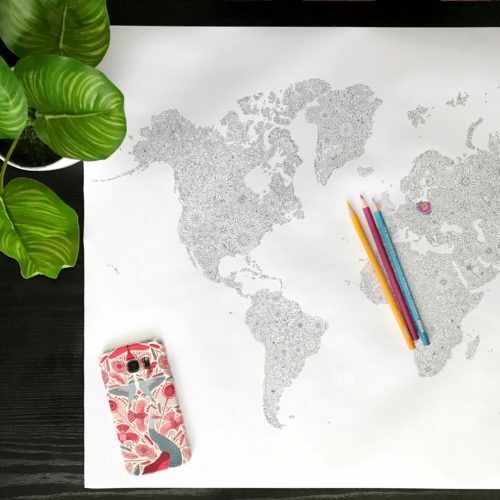 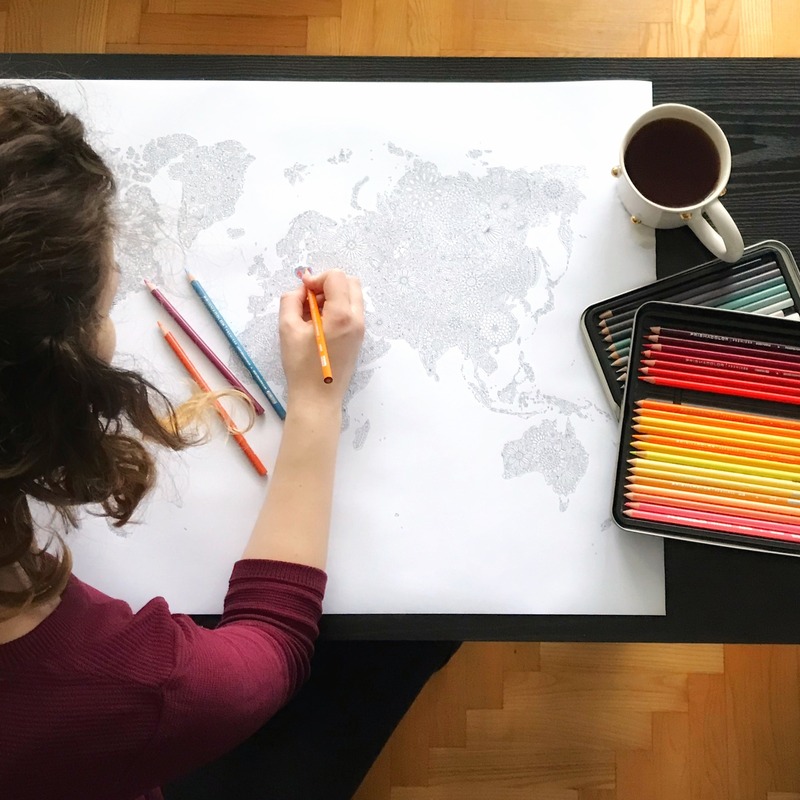 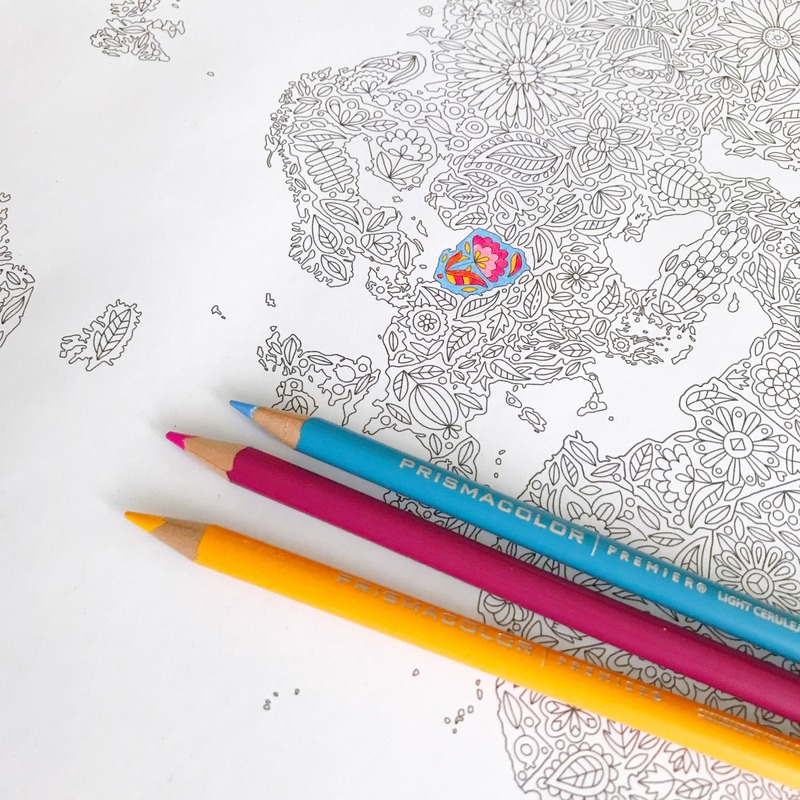 This world map wall art is a real treat for all adult coloring lovers! Grab your favorite markers or colored pencils and color your own world! 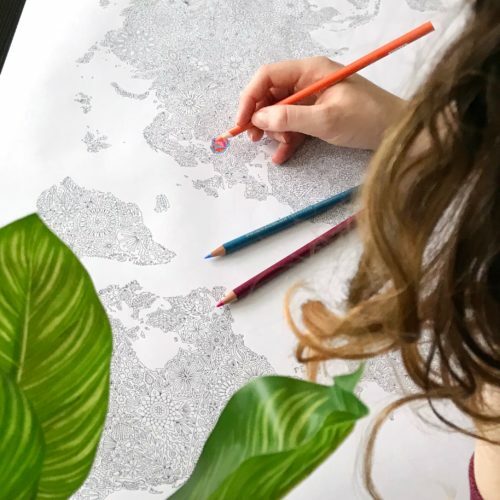 This world map wall poster is more than a coloring page – it can be a classroom map or even a travel map color in! 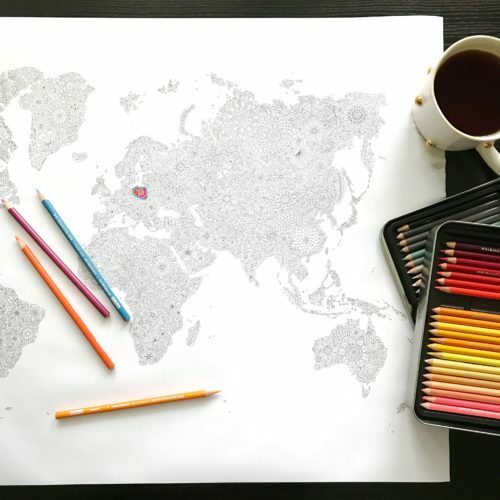 Just fill in the countries you visited and mark your travels in a fun way. It’s also a great gift idea! 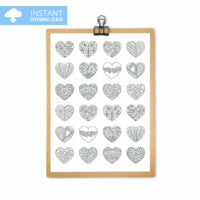 Even if your giftee is not into crafting, you can create a one of kind art piece for someone who collects wall posters! Imagine receiving a world map wall art filled with colors that match your home decor! Wouldn’t it be a wonderful surprise? 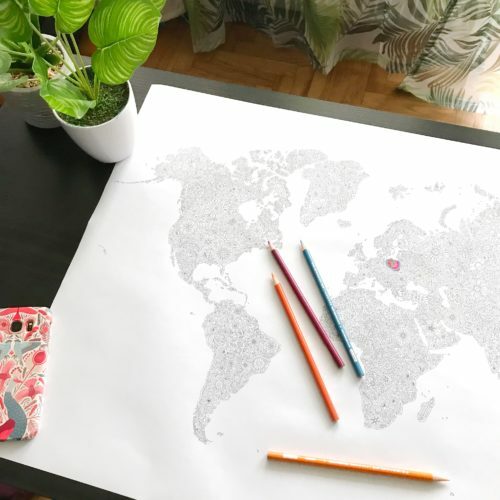 If cute posters and wall maps is not something you collect yet, beware. 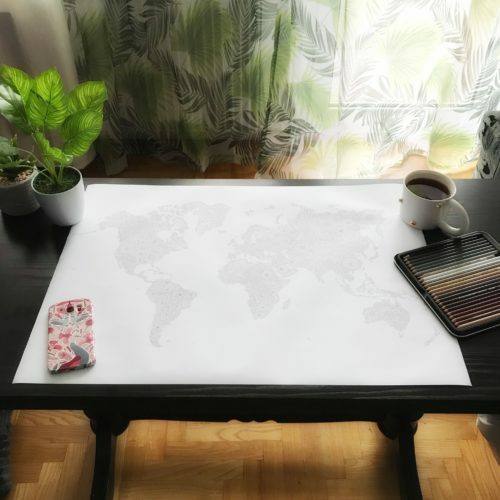 This hobby can be addictive and this large wall poster might just be a start of a big collection. 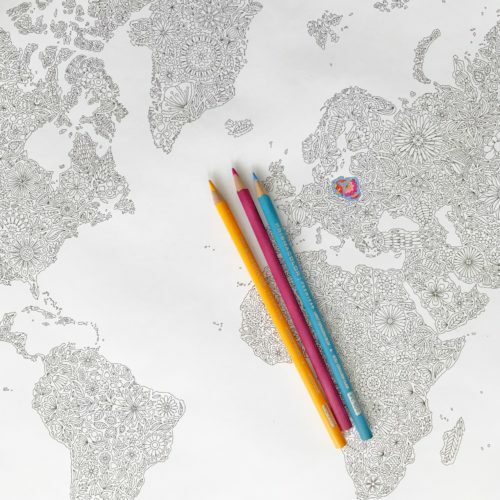 Besides adults, I recommend this intricate world map poster for kids above the age of 8. 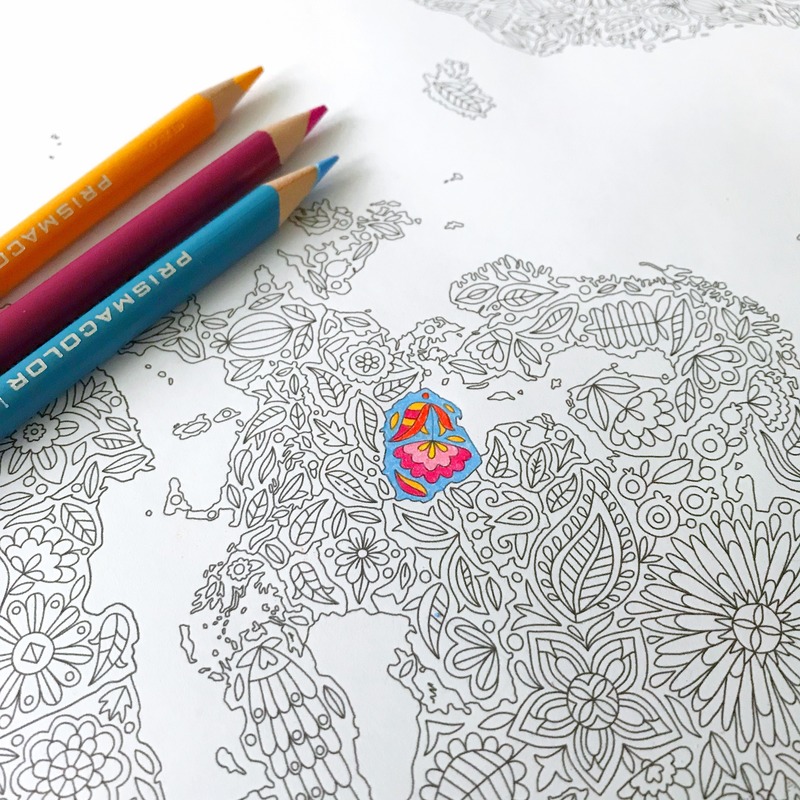 It is quite challenging, but coloring detailed patterns helps increase focus and precision. One of the most amazing maps I’ve seen finished in color was, in fact, colored by a child! 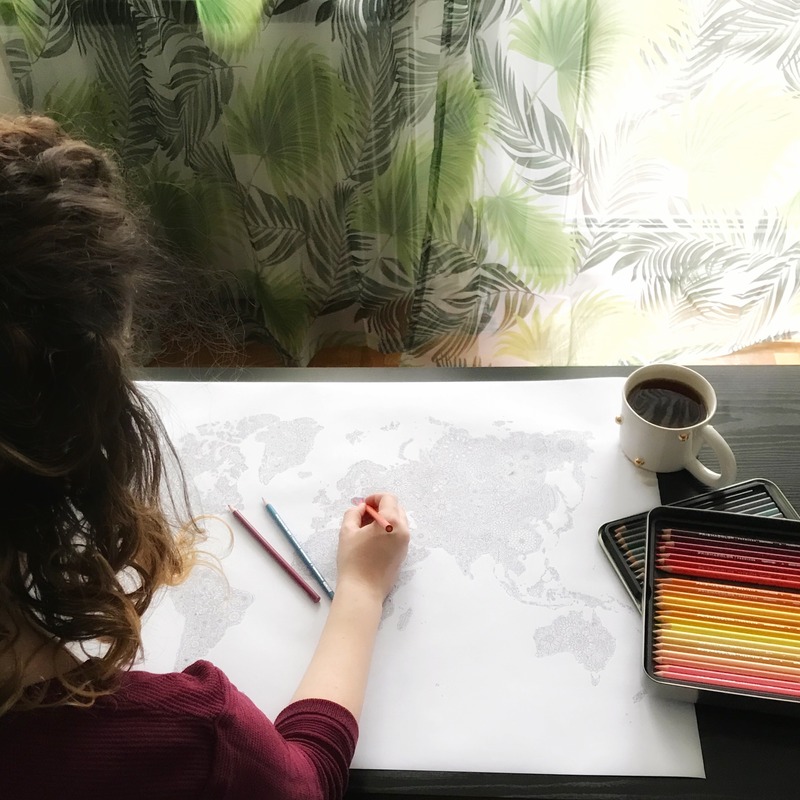 The global map poster took me over 9 weeks to illustrate and more than 250 hours of continuous drawing. I always take my time when creating these giant world maps for wall to make sure that your finished coloring will be absolutely fantastic. 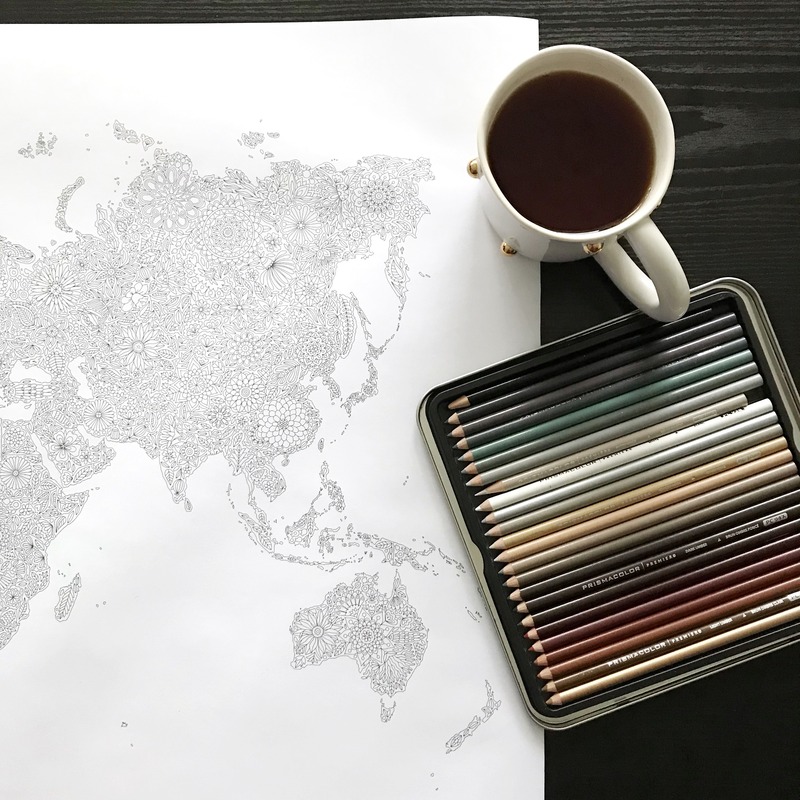 Finally, it presents itself just as fine in the original black and white colors. 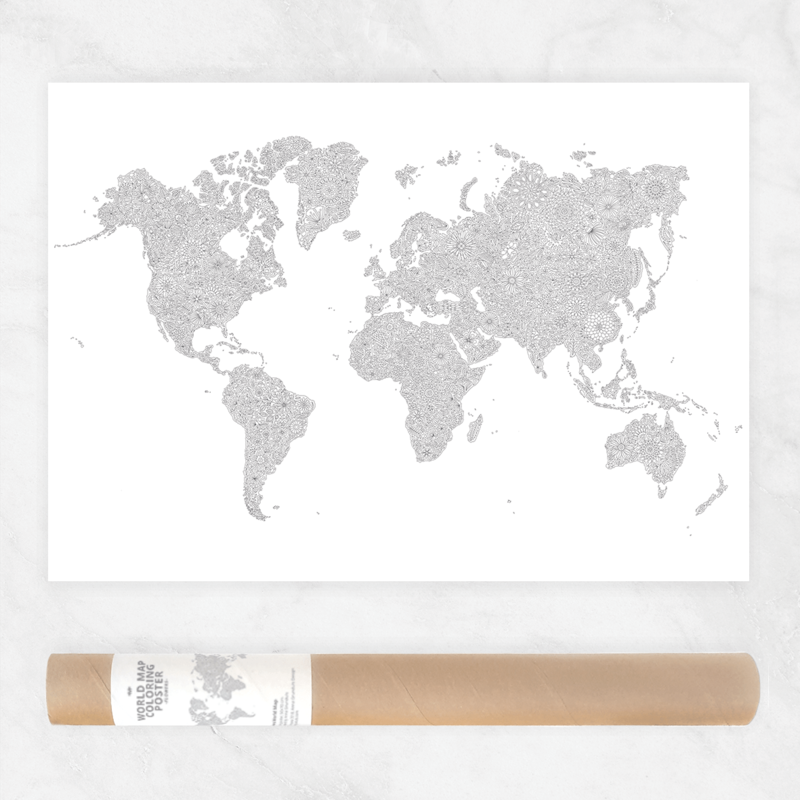 Whether you use this poster world map as a coloring poster or a a black and white world map – you’re sure to receive a lot of compliments on your new home decor item. After all, there’s probably nothing more classy than a black and white map wall art.